All our dogs are a big part of our families and the love we share with them stays in our hearts forever. 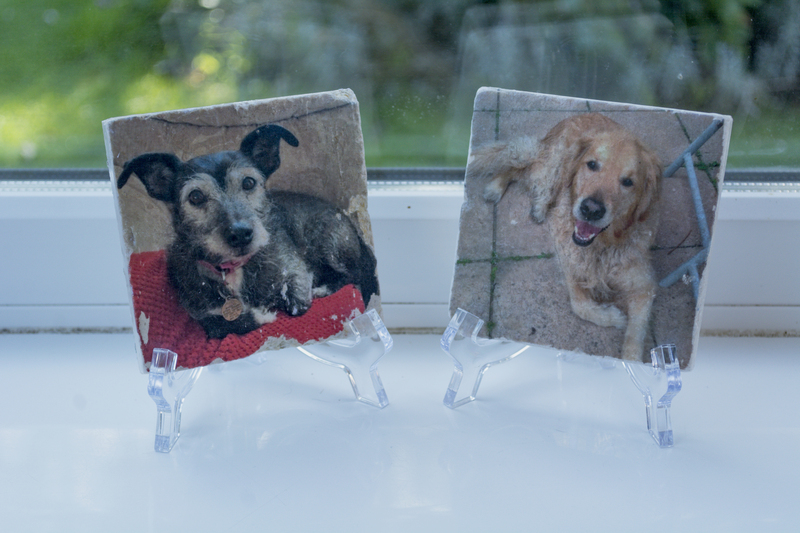 These personalised tiles are a great way to immortalise your favourite photo of them on a bespoke piece of art. 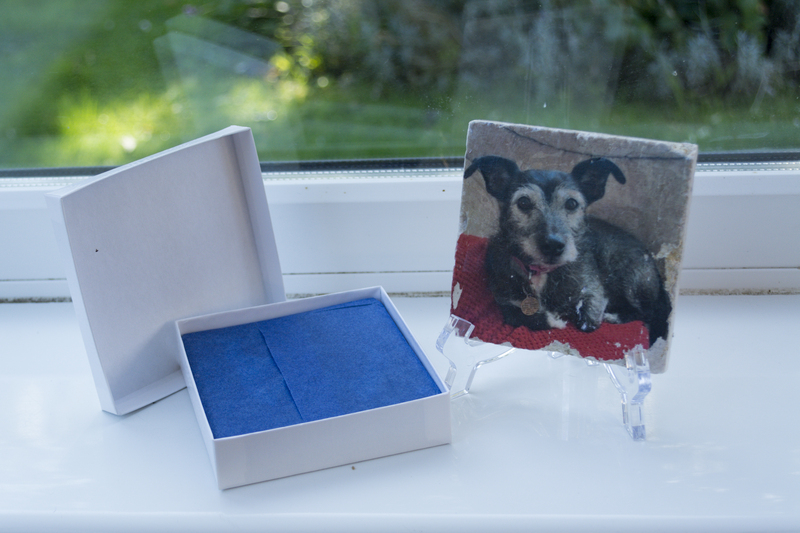 Send us an electronic copy of your favourite photo of your dog and we will lovingly hand transfer it onto a beautiful marble tile. The tiles are supplied nicely wrapped in tissue paper and nestled in a textured white gift box. The tiles have a rough and pitted surface with broken rounded edges and corners giving a beautiful aged appearance, each one unique as the tiles are a natural product and will all have small differences. The tiles can be supplied with a nickel-plated D ring ready for hanging or a plastic stand as shown in picture. 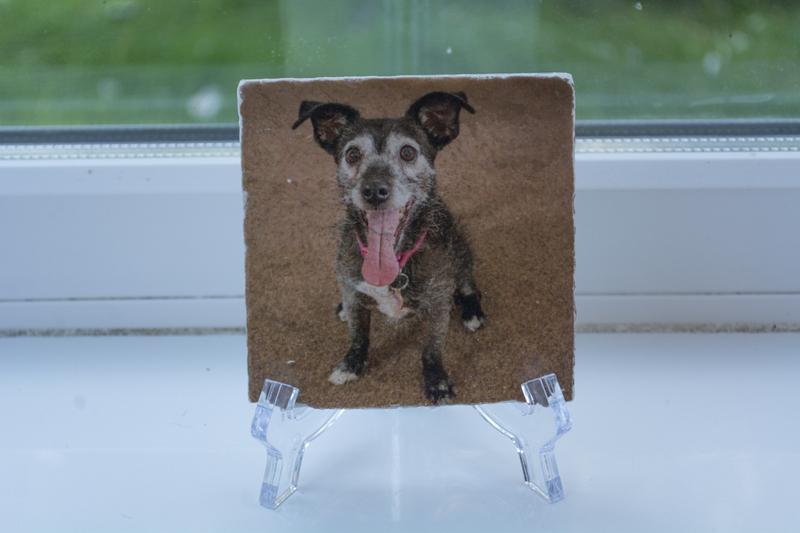 To order your personalised tiles, please fill in the form below.